FMCG giant, Unilever, is a master marketer and advertiser. In recent years it has pioneered the concept of ‘brand purpose’, and where the giant leads, most others tend to follow. This commentator on Campaignlive’s website is not so impressed with this arching marketing approach of equating purpose with worthiness. This is clearly something Keith Weed (above) takes pretty seriously. In the same week that his “great power” was confirmed by being voted the world’s most influential Chief Marketing Office, his company Unilever sought to display “great responsibility” by spearheading a drive to “un-stereotype” advertising at Cannes. Counter-intuitively, the increasing focus on “purpose” – at least as Weed and his acolytes have defined it – is leading not to a diversification of brands, but in fact a homogenisation. Becoming “purposeful” doesn’t now mean identifying a unique value that can be brought to the world. It simply means becoming more sustainable. Or maybe supporting disadvantaged communities. Or celebrating diversity. Or indeed promoting any worthy cause that can draw attention away from the organisation’s core identity and genuine purpose, which, chances are, is something they’re not quite so proud of. Now, this doesn’t mean social responsibility is not a worthwhile ambition. Naturally every organisation should endeavour to be as responsible as possible. 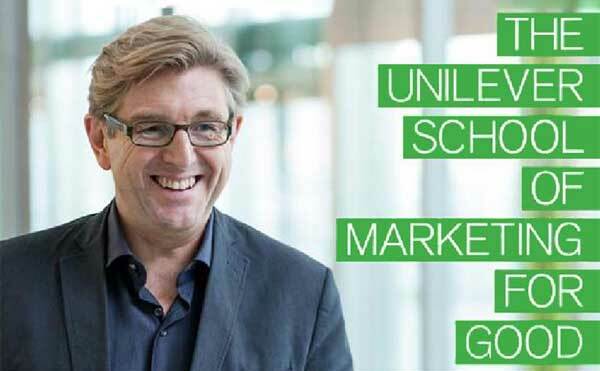 It’s just that with a handful of exceptions this is not the core purpose of the majority of brands…..
Keith Weed, Unilever’s chief marketing and communications officer, on why sustainability is the only reliable business model….